Show Wethers and Fullblood Doe Kids are born in May and June. Perfect age for the January, February and March show season. Show Quality by an ABGA Judge. We begin selling private treaty in late July. 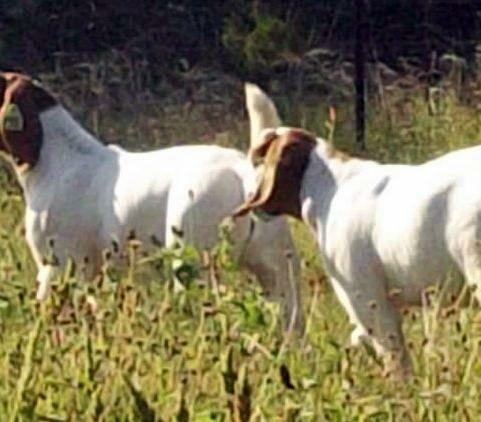 This website contains information about Boer goats, Boer goats for sale, Boer goats in Texas, Texas Boer goats, goats, meat goats for sale, goat farms, goat ranches, goat herds. It also contains information on Pleasant Valley, Pleasant Valley Goat Ranch, PVGR, Pleasant Valley Boer Goats, Boer wethers, show goats, Boer goat sales, Boers, pictures of goats, show wethers, show does, breeding stock and goat breeders.